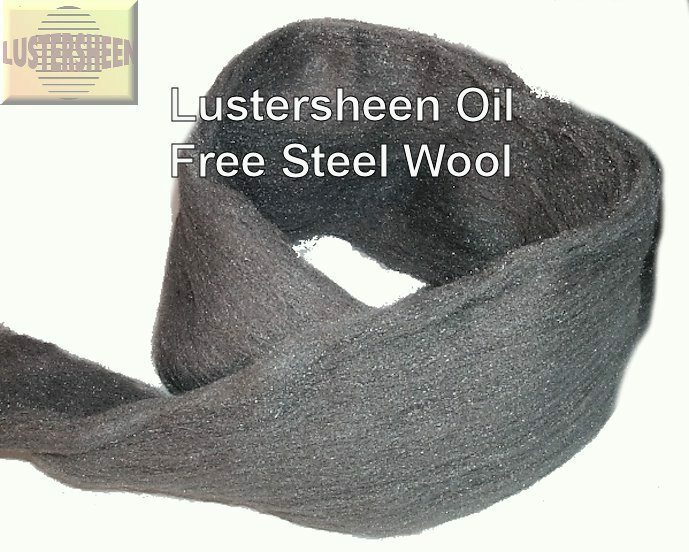 Lustersheen steel wool is oil free, long strand wool that is crumble resistant and made from the highest quality steel. 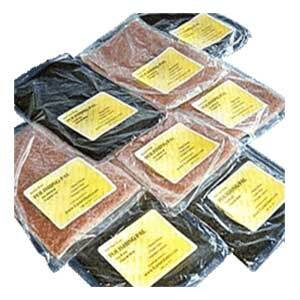 The best quality steel wool available for the trade, furniture maker, finisher and craftsman. To give your projects a beautiful reflection and sheen use Lustersheen Steel Wool!! Please note: Coarse and Medium grade metallic wool can cause something similar to a paper cut when the wools are used with bare hands. For this reason, we carry Kevlar gloves® which are an economical way to protect your hands while using these products. 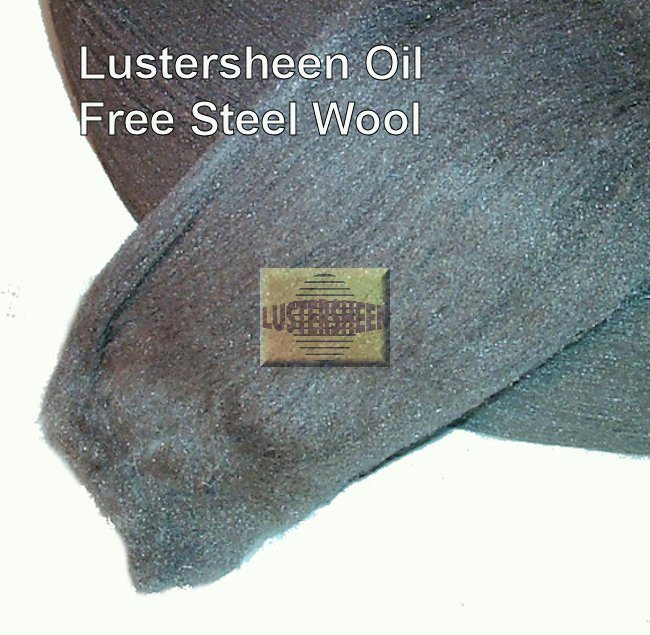 Lustersheen Steel Wool is produced using a high quality steel to create a crumble, dust resistant wool that is virtually oil free with no rogue strands. Manufactured for Lustersheen on state of the art equipment utilizing 21st century technology without the use of oil—the only oil contamination will be trace amounts from oil used on the machinery, not oil in the cutting and drawing process. This European manufacturer’s wool is chosen and recommended by fine craftsmen around the world. 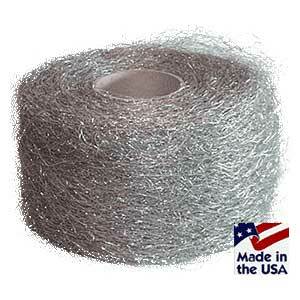 As a purpose-driven product, Lustersheen steel wool has been packed in rolls of a continuous ribbon to enable you to cut off convenient sized strips as required for your use and circumstance. Wrap it around a wooden block for rubbing out flat surfaces, or make a small hand pad for rubbing or cleaning. Lustersheen oil free steel wool is made from top quality wire to last longer. The difference between Lustersheen steel wool and other steel wool is so striking that a few seconds’ examination and use is all it takes any user to reach the same conclusion. 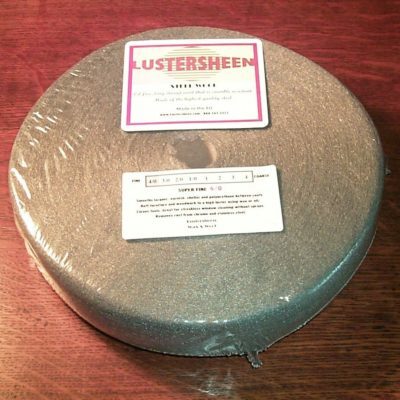 Lustersheen steel wool is more uniform, consistent and durable than any other brand. When the Lustersheen Grade 4/0 is combined in use with either the Lustra or Classic finishing waxes, the end-user has the finest wax-wool available in the world. Lustersheen Grade 4/0 Steel Wool is ideal for polishing and cleaning delicate surfaces. 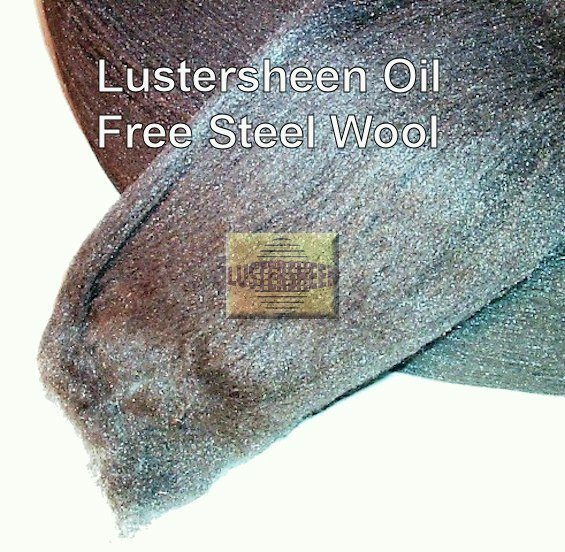 Use Lustersheen Steel Wool Grade 0000 to cut back between coats of French polishes, varnishes, and oil finishes; to clean and polish metals such as bronze, copper, chrome, stainless steel, and aluminum; to cut back between coats of varnish or paint; or use it with soapy water to clean and polish porcelain, marble, and glass without marking. The grade 4/0 steel wool is ideal for applying waxes and cleaning delicate surfaces. The grade 4/0 is excellent for cleaning glass without sprays or aerosols. 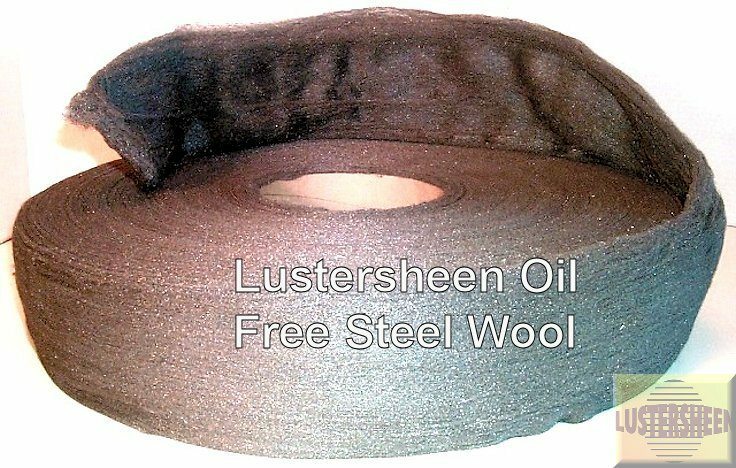 Lustersheen Steel Wool is available in a range of eight grades from the world-renowned Super Fine #4/0 to the Extra Coarse # 4. If any doubt about the grade to use, start with a finer grade of Lustersheen Steel Wool before moving to a coarser grade. Always test product use on a spare surface or inconspicuous area for compatibility and end results. To avoid cuts never tear steel wool. Cut to size with scissors or shears. Always protect your hands with gloves when handling. Steel Wool is flammable. Keep away from all sources of ignition, fire, sparks, and electricity. In the event of fire, extinguish steel wool with water, away from electricity.